Nothing says luxury quite like a gorgeous slab of marble. With intricate veining, sumptuous coloring, and handsome good looks it's no surprise that this natural beauty is always in high demand. This durable material is an interior design go-to, and its distinctive pattern has inspired manufacturers to duplicate the look on pieces ranging from throw pillows to luggage— and we're here for all of it. From faux to the real deal, here are 20 of our marble faves that are dripping in timeless sophistication. You never know when and where genius is going to strike. 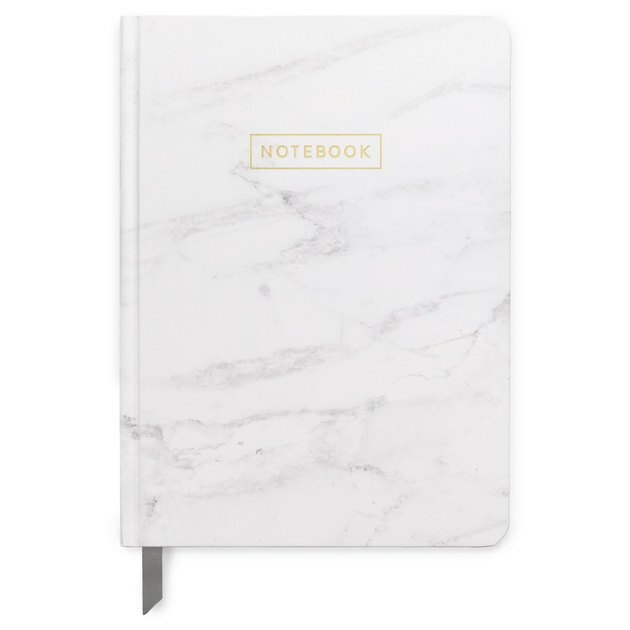 Carry this perfectly sized, marbled journal around to jot down quick notes of inspiration, and look good while doing it. It's official — the black and white trend has never looked so good! Handcrafted in Mexico, these chic hexagon and circular shaped coasters are the jewelry every coffee table needs. 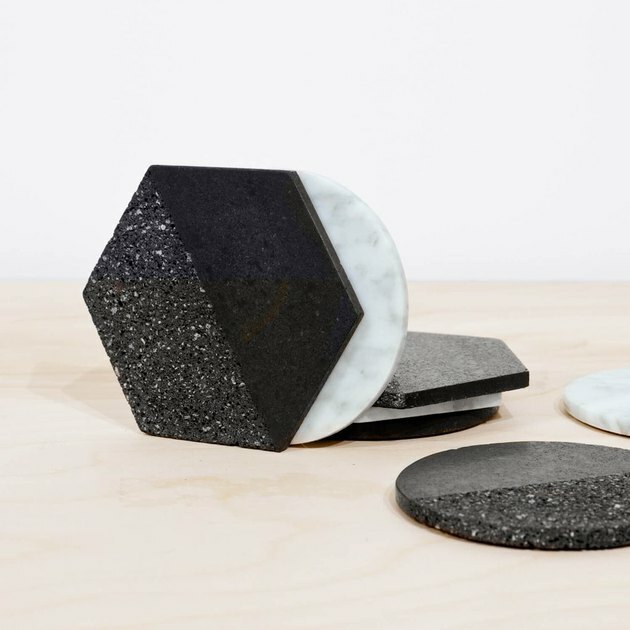 Made from decadent white marble and black volcanic rock, backed with cork, these geometric gems are almost too pretty to use. With this elegant wine chiller, you can now rosé all day. 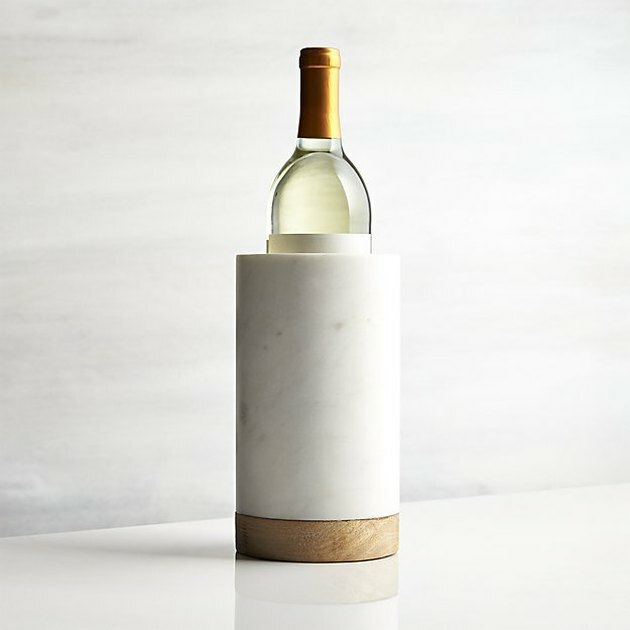 The hand-finished white marble and turned mango wood cylinder provides exceptional insulation, keeping your spirits cool for hours at a time. 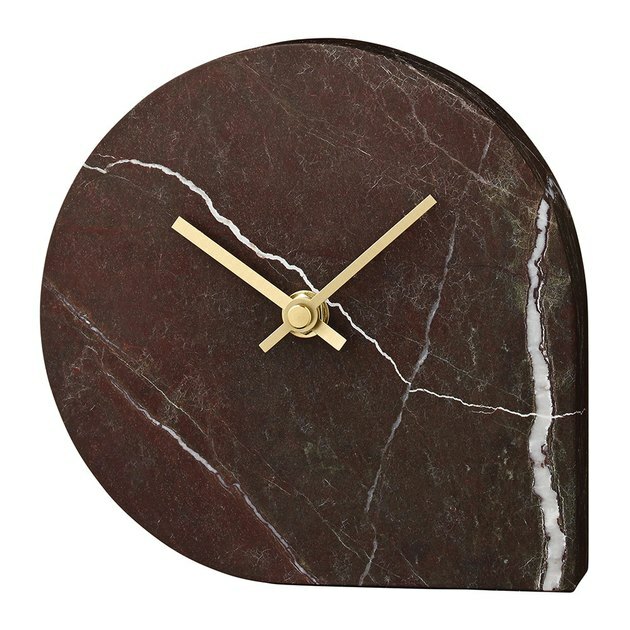 Rich burgundy marble combined with a brass finish make a striking pair in this asymmetrical clock. Impactful yet minimally designed, this functional stunner has stayed true to its Scandinavian roots. If only our teachers told us this was why geometry was so important, we would've paid closer attention. 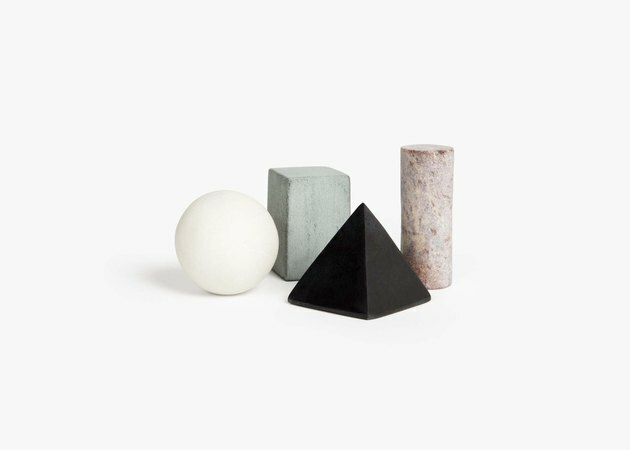 When chilled, these hand-finished, three-dimensional stone shapes are the perfect way to keep your night cap cold without diluting it with melted ice. 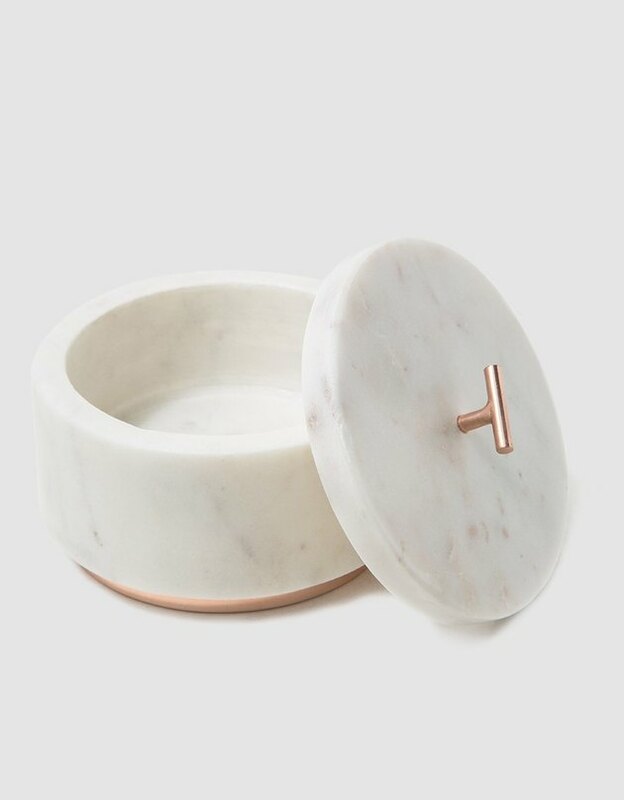 This lidded box is a vision in marble and copper, and the perfect place to keep all of your cherished trinkets and treasures. Or, if you want to use it to store thumb tacks that's okay, too. You're all about that jet set life. So what are you still doing with the hand-me down luggage your parents gave you? 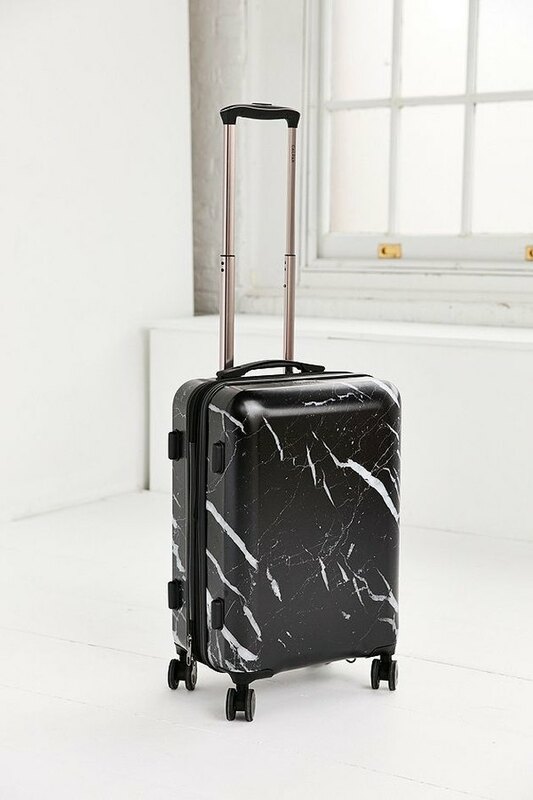 Turn heads as you breeze through TSA with this chic, black marble-inspired carry-on suitcase. The hard shell and 360-degree casters are an absolute must-have for someone always on the go. 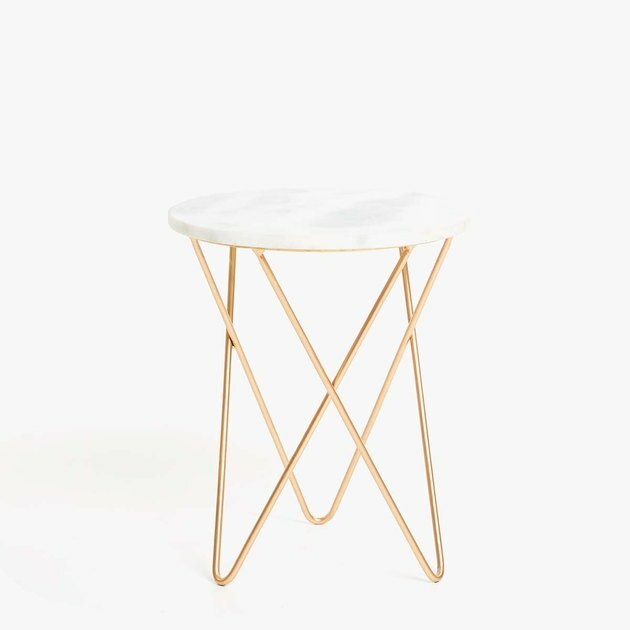 How dreamy is this little white, marble-topped side table with crisscrossed gold base? It exudes an undeniable allure that won't be ignored. Inspired by the lens of glasses, this minimally designed container is giving us all the feels. 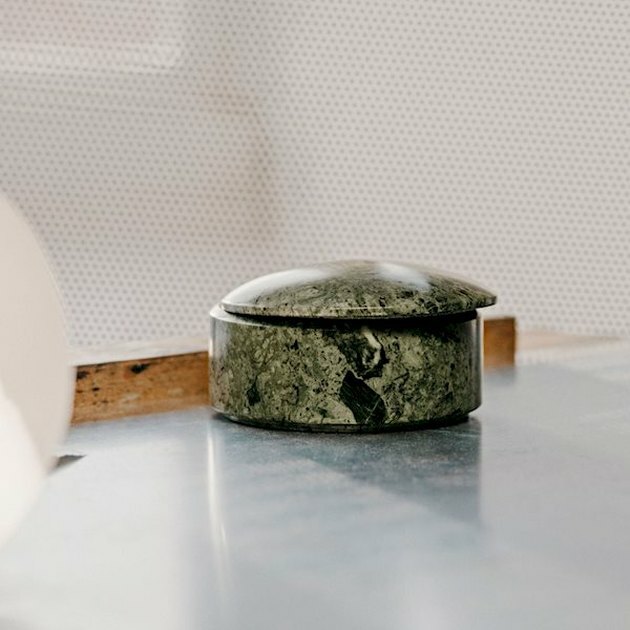 Crafted from opulent green marble, the circular-shaped dish with curved lid is truly inspired. 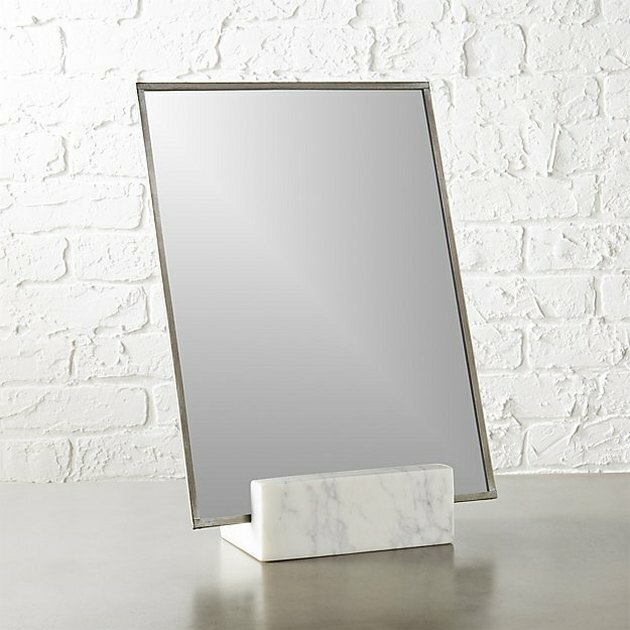 Every vanity table needs a vanity mirror — and oh, what a mirror this is. Perfectly angled, its gracefully modern silhouette boasts a handmade white marble base that beautifully supports a thin iron frame. 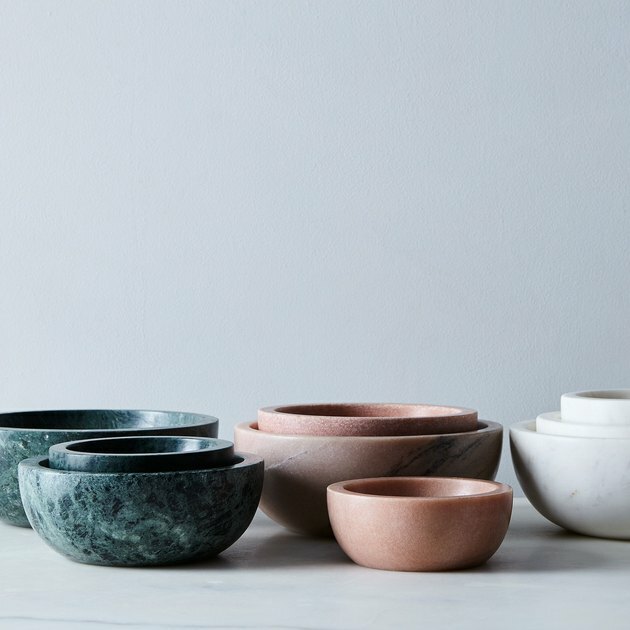 Whether you use them to hold your house keys, fresh fruit from the farmers' market, or buttery popcorn for your Netflix binges, we're pretty sure everyone needs a set of these insanely gorgeous, marble nesting bowls. The secret to the best homemade guac ever? 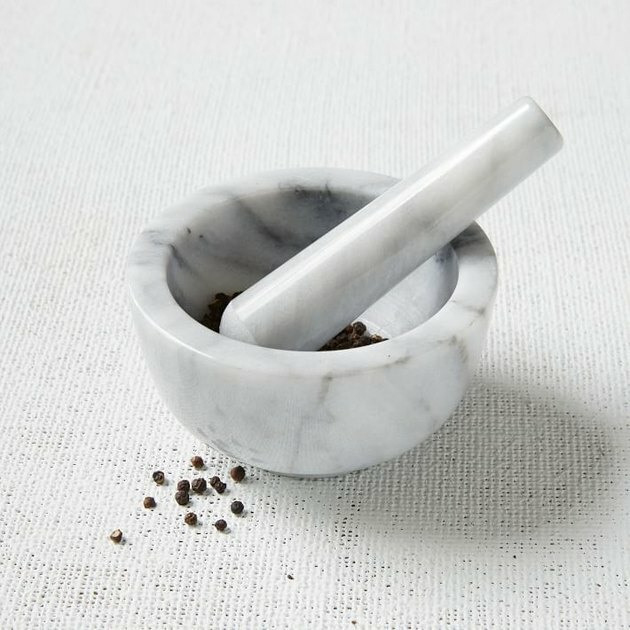 A fabulous mortar and pestle. A puzzle within a puzzle? Are you as excited as we are? 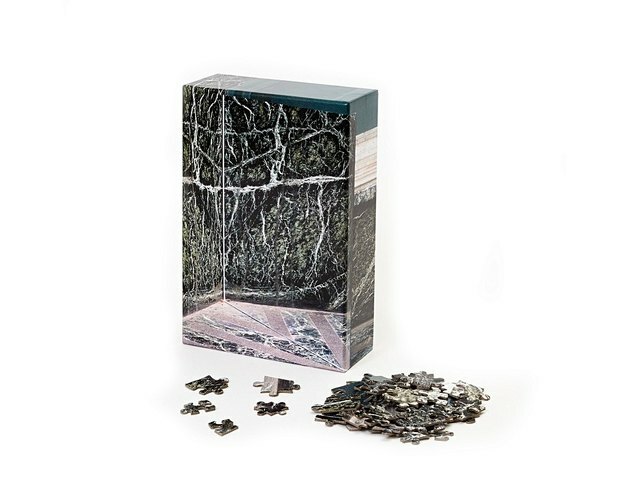 Featuring imagery from photographer KangHee Kim's series Mirror, this mind-bending box of tiny marbled pieces actually comes together to form two different puzzles, that can be completed as one or separately. 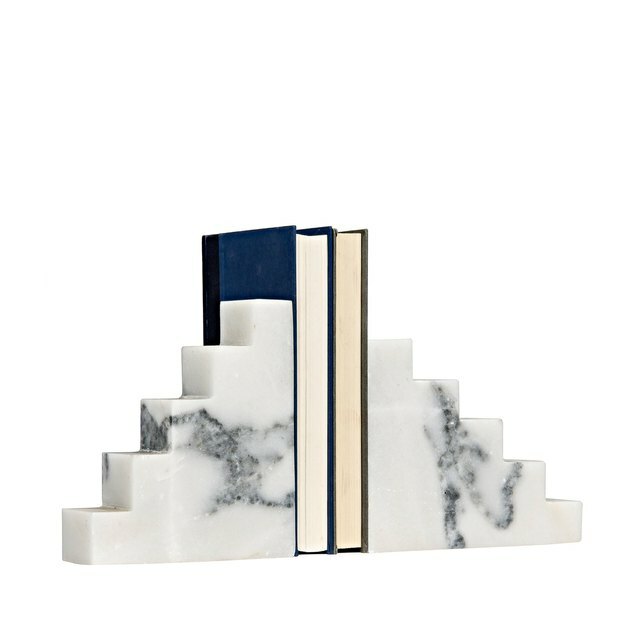 Step up your style game with these swanky, white marble bookends. Their ascending silhouettes will beautifully punctuate any room. Make your dinner guests feel truly special by serving hors d'oeuvres on these stunning trays. 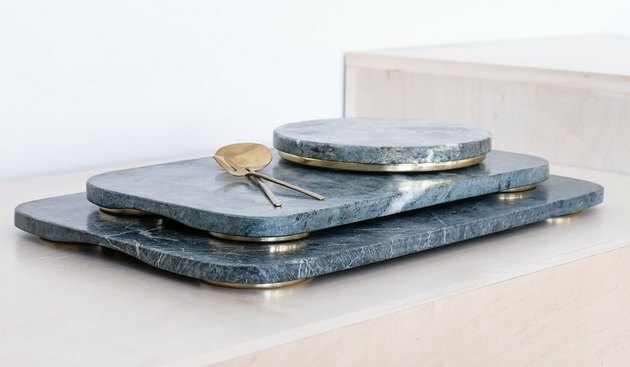 Supported by round brass feet, the jaw-dropping solid slab of green marble will make a bold statement without having to say a word. 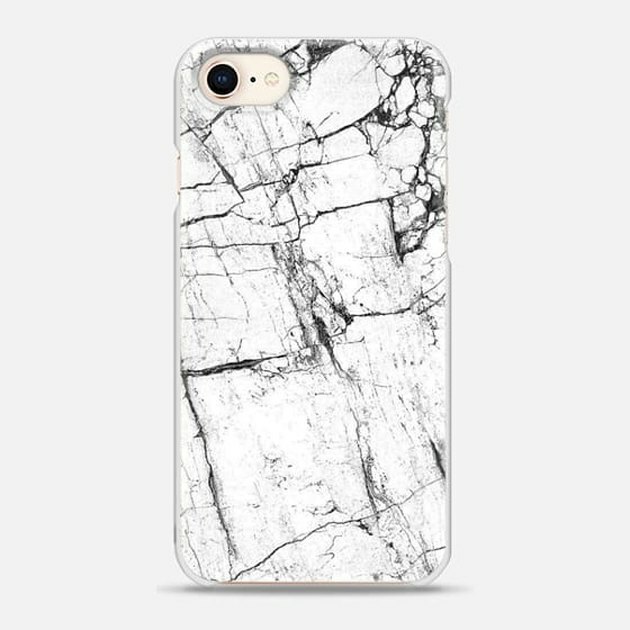 Give your iPhone a sleek makeover with this white marble-patterned, hard shell case. The ultra thin minimalist design offers your phone protection, and pretty much ensures that everyone will take notice of its good looks every time your hotline blings. Just because you're #adulting now, that doesn't mean you have to give up fun and games. 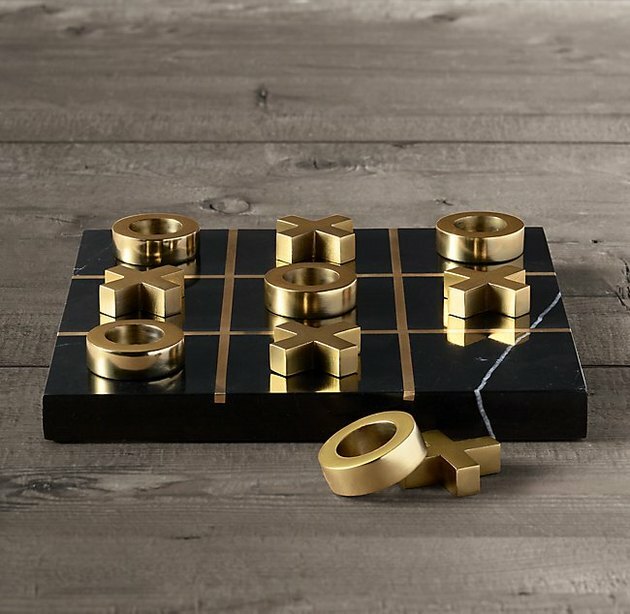 Handcrafted from polished black European marble with inlaid brass lines and X and O pieces to match, the all-time favorite game of Tic-Tac-Toe has never looked so good. So embrace that childlike sense of wonder and play your heart out. If you're anything like us, you're probably glued to your laptop 24/7. 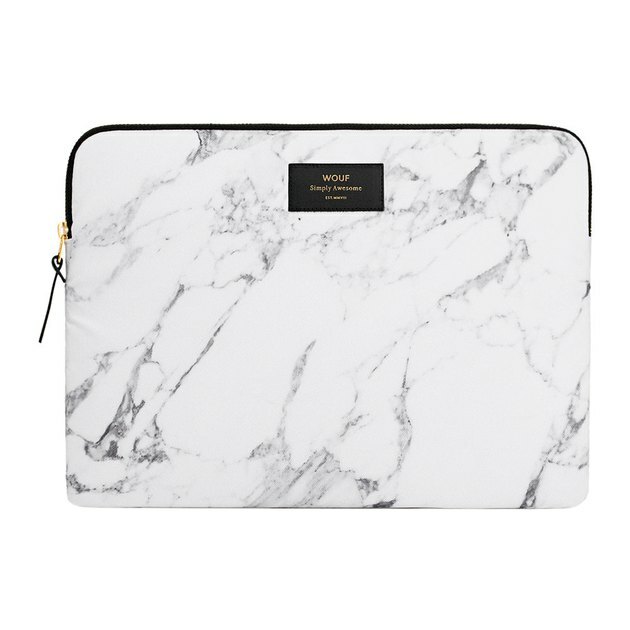 But on the rare occasion that you're not, protect your pricey gadget with this stylin' marble print, canvas and water-repellant case. 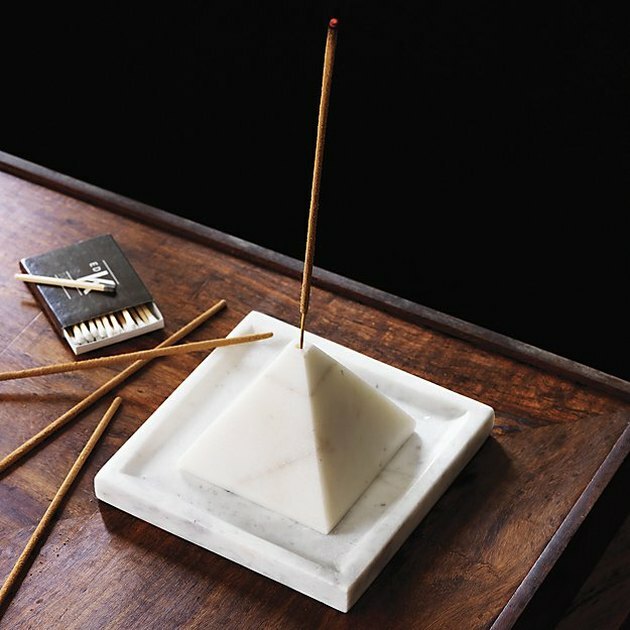 If part of your daily spiritual practice is enjoying the soothing aroma of your favorite cedarwood incense, then this tiny natural wonder was made for you. 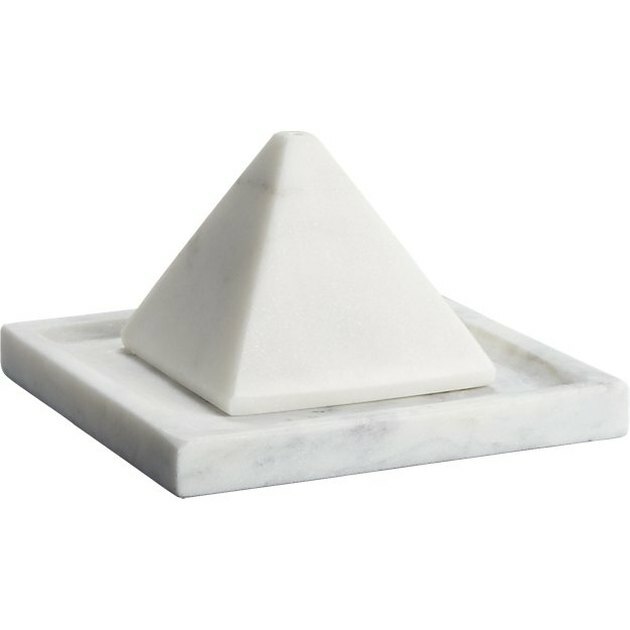 Made from polished white marble, the miniature pyramid with coordinating tray will inspire you to nama-stay in bed all day. 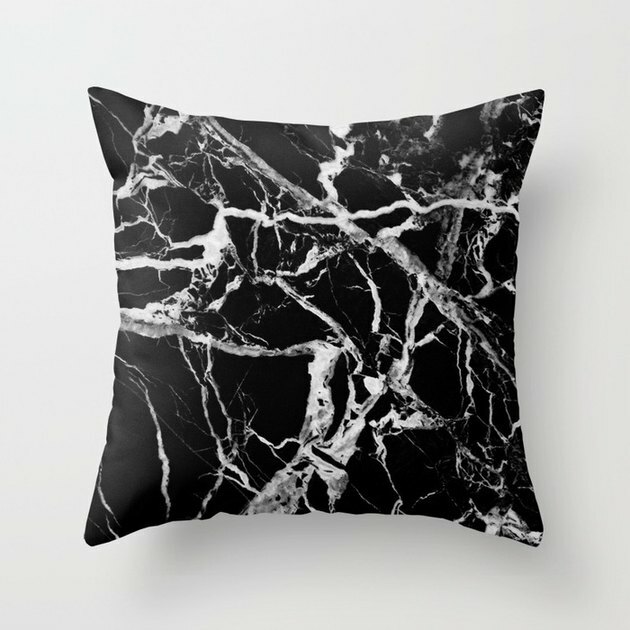 Add a little unique flair to your sofa with this double-sided, black marble print throw pillow. Not only does this bold decorative accent look good (with its realistic white veining), but the faux down insert means that it's comfy enough for Sunday Funday naps, too.